If you are living in the US and are not familiar with Civilian Marksmanship Program, you are doing yourself a disservice. The CMP is a quasi-government organization that is tasked with advancing shooting sports. It has strong ties with the Army training program, and was probably originally meant as a recruiting tool of sorts for US military. Today it's mission is "To Promote Firearm Safety and Marksmanship Training With an Emphasis on Youth". One really cool feature of the CMP is their rifle sales program. Over the years they had amazing deals on rimfire rifles (most recently, UMC Remington 40x for $600, "rusty" (not really) Kimber 82s for $400, Redfield Olympic, International, and Palma iron sights for fractions of their eBay prices, etc). The surplus equipment that the CMP sells comes from the military training programs, re-importation of military equipment loaned to allies, and other military sources. So the product comes in waves: a training program switches from rimfire rifles to M-16s, so the CMP store gets the decommissioned guns. 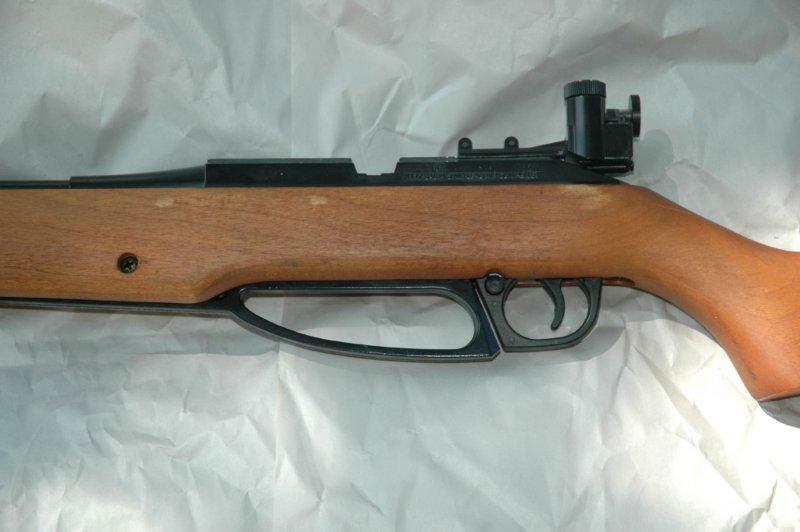 Once the rifles are gone, they often stay gone: there is no steady resupply. The CMP sells some commercial equipment, too, which tends to be more available, but it is usually restricted to clubs and training programs: a lot of it the individuals cannot buy. 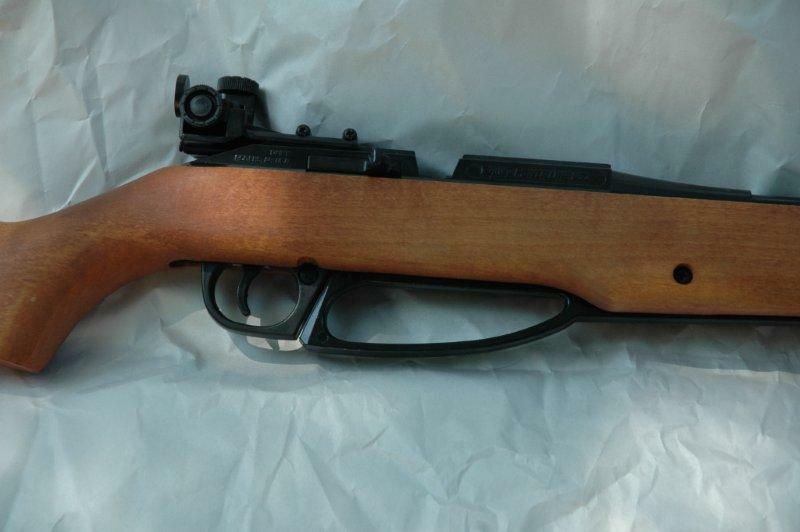 Today one can still buy a CMP Garand and certain types of iron sights from their store. Redfield peep sights are a particularly good buy, in my opinion, but what I consider the best deal at their store is the reconditioned Daisy 853 air rifles, available here: http://www.odcmp.com/Sales/airrifles.htm (scroll down to "Daisy M853 .177 Cal. 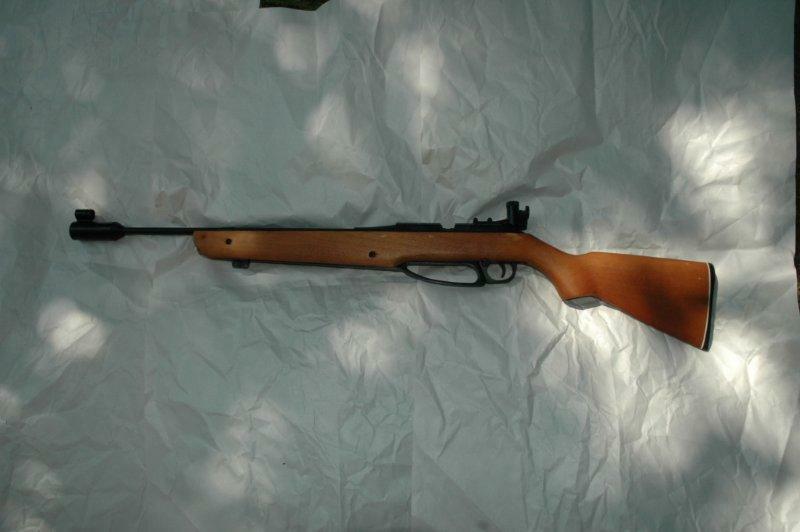 (Pneumatic) USED Air Rifle"). The deal is exceptional for two reasons. First, the price. Amazon and Pyramid Air both sell them for about $300, so $100 + $15 (next day!) shipping from CMP is an amazing deal. 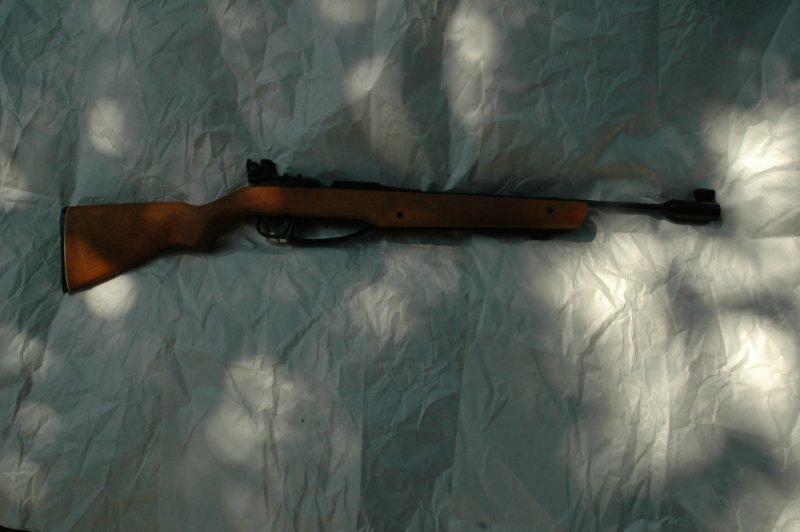 Despite being reconditioned, CMP does not sell junk - you can be sure that the rifle is going to work, and work very well. Second, no qualification - other than developing young shooters - is needed. Have kids? You can buy the rifle! This is very different from the normal CMP process where buying a rifle requires memberships in affiliated clubs, notarized application, proof of citizenship, and lots of other hoops to jump. These can be had for just filling a simple form (which is just the payment and the shipping address) and mailing or faxing it to the CMP. I've been meaning to buy a couple of these rifles for a while (two daughters! ), and finally did it two weeks ago. Buying from the CMP is a very lengthy process. Most rifles take months - sometimes 3 months! - to deliver, and to add insult to injury they then ship them next day air, morning delivers - what a waste of fuel! So I mailed the application (did not even bother to fax it) and forgot about it, expecting that a few months from now I will probably get something. To my surprise, a FedEx truck pulled in a week later and deposited two standard CMP boxes (they sure pack them well!) to my door. Each contained a Daisy Avanti 853 in amazingly good shape, a photocopied manual, a new sling, two stock spacers, one Daisy 5899 receiver sight, and a little envelope with the front sight inserts. Here is one of them with the sights installed. Sorry for my awful photography! The stock on both looked new, with a few surface scruffs, but nothing deeper than the finish. The barrel weight on one was missing a few bits of paint. Mechanically, as is always the case with CMP purchases, they were top notch! Avanti 853 works by opening the lever which sits right next to the trigger guard all the way and then pushing it back in place. The manual insists that the breech of the firearm be open while the air gun is charged. 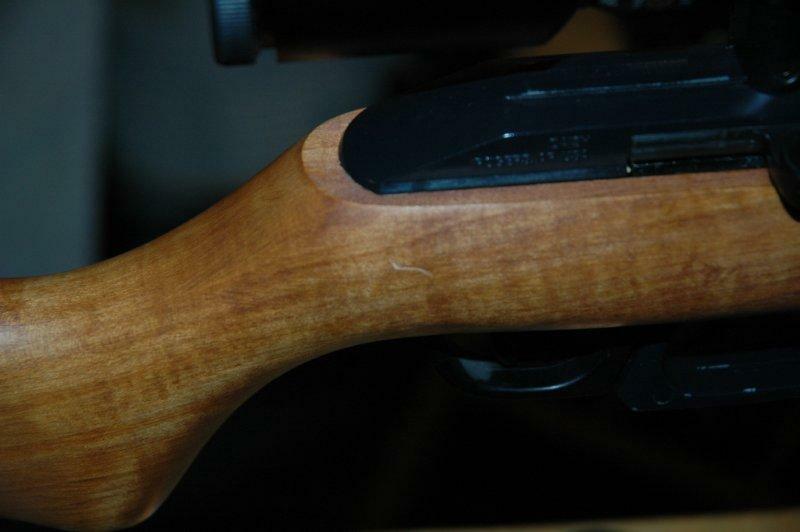 The pellet is then inserted into the breech loading channel, and the breech is closed. After that, the gun shoots once the trigger is pulled. There is a push-button safety button right next to the trigger guard, which, thankfully, does not engage automatically on pumping action. 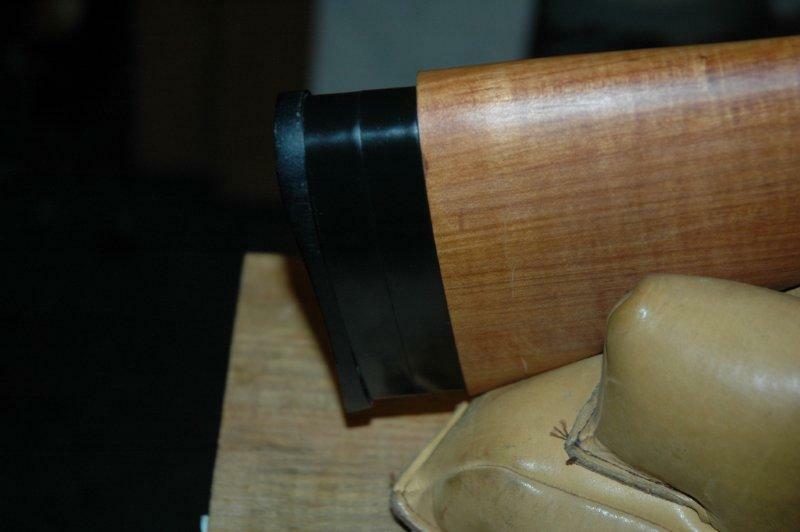 The receiver is metal and has dovetail grooves cut into it for scope mounting. 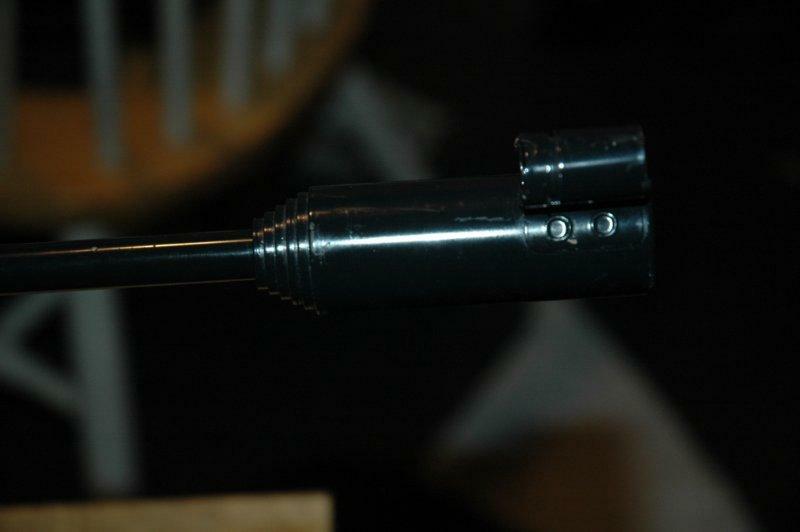 The rear peep sight is mounted on the same grooves. Overall construction is very solid. It is not an Anschutz, but it looks worth $300 which is the going price for a new one. The stock is designed for young shooters, but the two spacers boost it enough to be used by adult. I installed them for my own testing.